Finchley Preschool work hard to keep your little one happy and healthy throughout the year, especially during winter. With cold, winter days fast approaching, the long summer days that we enjoyed only a short while ago already seem a distant memory. Along with crisp evenings, snowy morning and cosy fires, winter also brings coughs, colds and chills. Children are notoriously prone to catching bugs during the winter. It is important to keep your loved one healthy and well. Here at The Finchley Preschool, we are committed to ensuring that our parents and children always have the information they need to stay fit and healthy during the frosty, winter months. 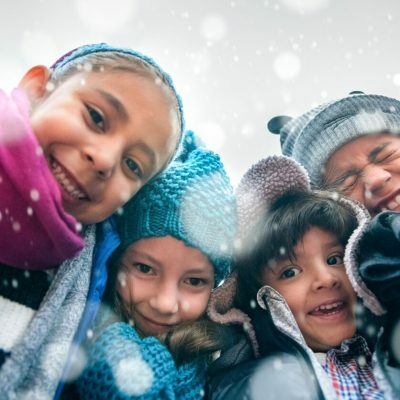 Our experience staff have prepared a helpful guide to keeping your child healthy and well through the winter. Washing your hands and your child’s hands is one of the best ways to prevent germs from spreading. It is important to wash your hands regularly throughout the day; especially after going to the toilet, touching items in communal areas or blowing your nose. Your child looks up to you for guidance, so you should lead by example and encourage them to wash their hands like you do. Highlight the importance of washing them before eating to reduce the chance of germs entering their mouth. When it’s freezing cold outside, there really is nothing better than wrapping up warm in thick knits, hats, scarves and gloves. However, you should also make sure that your little ones are also warm and snug whilst never overheated. Make sure their head and ears are always covered and ensure their toes are warm and toasty with a pair of waterproof boots. On the milder days reduce the layers ad ensure they do not overheat. Water is essential for us to function, grow and learn, this is not different to children. In fact, it is even more important for children to stay hydrated as they need more water for their body weight than adults do. Even though it is colder, it is just as important for your child to stay hydrated throughout winter. Children often don’t recognise what thirst is, making them particularly vulnerable to becoming dehydrated. Finchley Preschool ensure hydration is part of your child’s daily routine and is never forgotten about. We hydrate children with natural drinks that are unsweetened and free from additives. Starting in the morning with breakfast, children should have 6-8 drinks per day. In order to reduce infections in our Finchley Preschool, we are extremely hygienic in every aspect of learning. At Finchley Preschool we ensure children and staff regularly wash their hands. We also encourage both children and staff to cover their nose and mouth with disposable tissues when coughing or sneezing. Once the tissue is used, it should be disposed of and hands should be washed. If bare hands are coughed or sneezed into, we encourage everyone to wash them immediately. But there are a lot of fun activities that you can enjoy outdoors during the winter that wont cause you to freeze. Winter exercise will not only get the whole family moving, but will also blow the cobwebs away and provide the perfect opportunity to spend some quality time with your little ones. From sledging through to puddle jumping and long brisk walks, wrap up warm and enjoy the new frosty season. It is important to always wipe down surfaces that are frequently touched, such as toys, kitchen benches, car seats and light switches. Using with disinfecting wipes can be a great way of preventing the spread of germs. You should also wash toys in hot soapy water, especially those that are put into your child’s mouth. Lack of sleep can have a huge impact on your children’s immune system, which puts you at an increased risk of becoming poorly. So make sure that you and your little ones are getting enough sleep at night. Depending on their age, children should be getting anywhere between 10 to 13 hours a night and adults should be getting at least 6 hours sleep. Don’t neglect that pillow time and create a healthy bedtime routine for your little one. If you require any further information about how to keep your little ones well this winter, please do not hesitate to get in touch with our friendly staff at Finhley Preschool.